There’s obviously a personal fascination with the subject matter, given my own Manchester connections, Dave’s DJ trajectory so different from my own. That this is a book written by a DJ, and outlining a key ignition in the rise of the DJ during an era when Manchester became the global focus for dance culture, gives it a special scope. An author for almost 20 years now, Dave’s first book, ‘Manchester, England – The Story Of The Pop Cult City’, was published in 1999. He’s subsequently written a further trio of books on pop/DJ/club culture, my personal favourite being 2017’s insightful ‘Life After Dark – A History Of British Nightclubs & Music Venues’. However, whilst his previous work has been documentary / reportage-based, this new book is very much autobiographical, often touching on his own self-struggles and sensitivities, whilst celebrating his schemes and successes in the city that’s been his home now for 38 years – two thirds of his life. 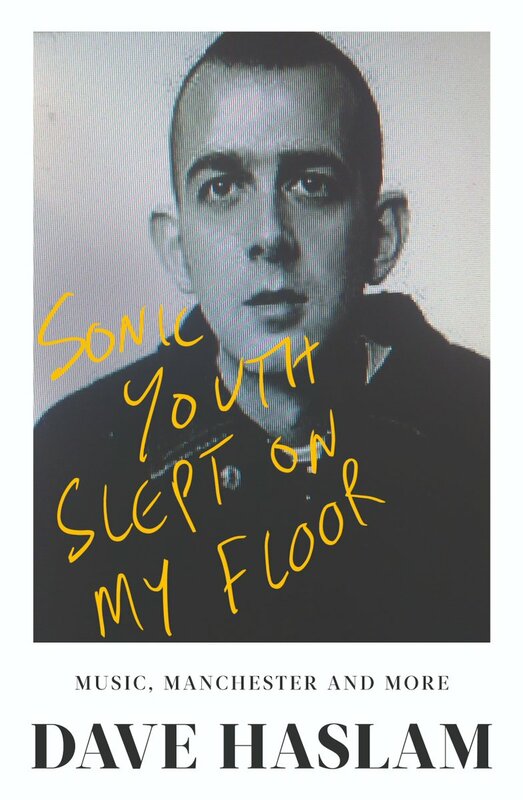 Perhaps more than anything, ‘Sonic Youth Slept On My Floor’ is the story of a superfan who would come to meet his idols, sometimes befriending them, then help unconsciously curate, and participate in the unlikely narrative that would gradually unfold, placing him and his Haçienda DJ contemporaries, including Mike Pickering, Graeme Park and Jon Dasilva, at the apex of youth culture for a glorious Mancunian moment in time. There’s no masterplan behind these things, just an assortment of obsessed individuals driving their ideas forward, and serendipitous circumstance to help them ferment. 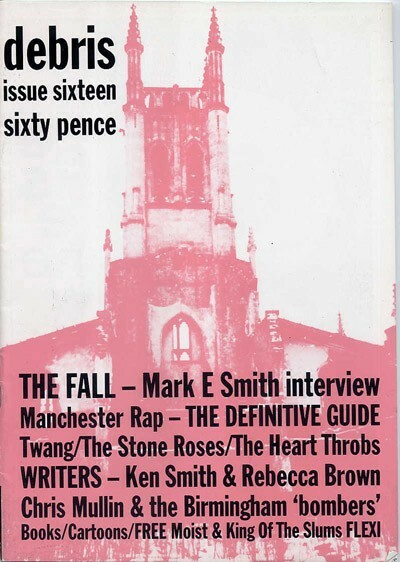 In Manchester’s case those ideas all seemed to converge in 1988 at The Haçienda the city’s omphalos, resulting in a big cultural bang that nobody could have envisaged beforehand, whatever the ideas they’d entertained or attempted. A lover of arthouse films, European literature and other off the beaten path expression, Dave was one of those obsessed individuals – before he became a DJ he set up his own fanzine, Debris, which gained him access to some of the people he admired. The book, for the most part, uses Debris and its articles/interviews as stepping stones through its pages. Only superfans set up fanzines – those who want to get into the very marrow of their obsession – and Dave was undoubtedly that. As Dave launched Debris, in December 1983, I was about to bring the first phase of my DJ career to a close, my weekly schedule consisting of nights at Wigan Pier, Legend in Manchester and The Haçienda, which was still very much trying to find its feet, in search of the elusive identity it strived for, often trying to knock square pegs into round holes before everything eventually came together so spectacularly later in the decade. As I’ve said previously, The Haçienda was all about a bunch of crazy dreamers, there was little business acumen apparent, and it could never have survived during its early years without the success of New Order to keep it afloat. As I was reminded, it was vaunted as a ‘videotech’, inspired by New York’s Danceteria, when it opened, with its 2 large screens hung high and eccentric French VJ, Claude Bessy, projecting all manner of madness. I remember seeing clips from the once-banned 1932 Tod Browning film ‘Freaks’ for the first time whilst DJing there. I also recall breakdance crew Broken Glass being blown away by some footage he dug out for them from the ‘30s or ‘40s showing someone doing a proto-backspin. It’s good to have some of these less known figures, who were fundamental to those early days at The Haçienda, brought to mind. 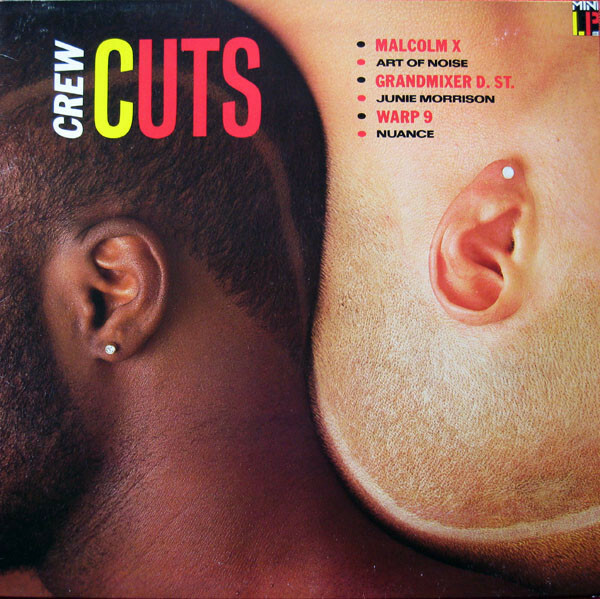 Hairdresser Andrew Berry (aka DJ Marc Berry), was another, and seemingly a major influence on Dave. Besides giving him his first experience of playing records in a club environment, in 1984, when Dave filled in for him on the odd night he took off, anonymously providing the music as continuity between the bands that were playing at the Haçienda, perhaps more symbolically, as he tells us in the book, Berry gave Dave his trademark short-cropped hairstyle in 1985 (his salon, Swing, was in the Haçienda’s basement), shearing off his then curly locks, which Dave described as akin to Art Garfunkel’s – a Samson in reverse it turns out, Dave’s transformative sheering inspired by the sleeve of the Island Records compilation ‘Crew Cuts’. Besides putting Debris together, Dave tried his hand as a promoter, putting on live gigs by bands he liked. He eventually partnered up with Nathan McGough, who’d later manage the Happy Mondays, putting on weekly Saturday band nights at The Boardwalk, a venue Dave would enjoy a fruitful association with during the ‘90s, when he ran his weekend nights, Yellow and Freedom, there. They’d also form a record label, Play Hard, which released artists including MC Buzz B, The Bodines and King Of The Slums between 1987-1990. 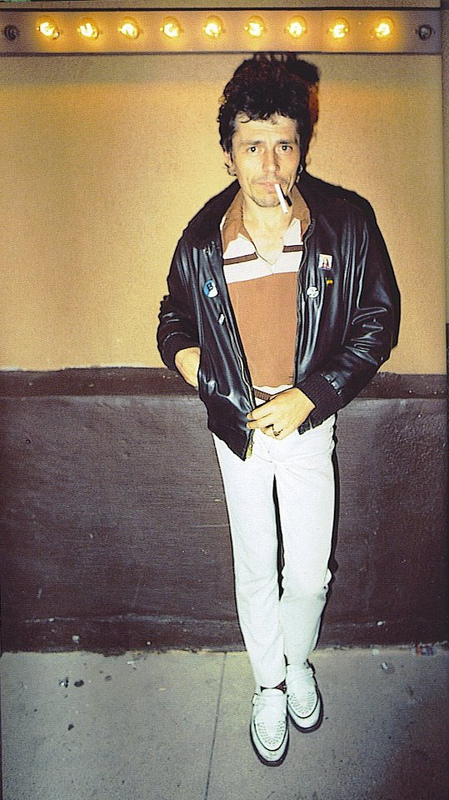 His first residency in 1984 at Cobwebs was a short-lived affair, lasting a matter of weeks, but he regards his full DJ debut as being at the Man Alive in March 1985, when he was billed as DJ Miserable Dave, his alternative Thursday night ‘Wilde Club’ sessions setting this new career in motion. Cobwebs changed its name to The Venue and he took over the Friday nights there, his unrestricted playlist a pre-curser for the approach he’d take at his famous student-geared Haçienda Temperance residency. Temperance launched in May 1986, 4 years after the club had opened, and would, for the next 4 years, provide an eclectic stew of alternative and dance releases every Thursday, hitting its peak during the Madchester era, with Dave championing the Indie-Dance direction that would evolve via local heroes New Order, the Happy Mondays and the Stone Roses. He’d also hold a Saturday night residency at the club between 1986-1989, working alongside Dean Johnson for the first 18 months, and John Dasilva after that, taking a more dance-based approach than Temperance. The book laments his up and down relationship with Factory / Haçienda owner Tony Wilson, their issues unresolved at the time of his death in 2007. It documents the gangsterism that swept through the city on the back of the ecstasy trade, leading to The Haçienda’s temporary closure in the early-’90s, and talks about the making of the 2002 movie ’24 Hour Party People’, which focuses on the times and people Dave writes about, Tony Wilson (played by Steve Coogan) the central character, of course. There’s also lots of stuff relating to Morrisey / The Smiths if you’re that way inclined. Moving into the ‘90s, Dave became increasingly associated with The Boardwalk, although he’d eventually return to The Haçienda, remaining at the club until the bitter end in 1997, this time DJing in the club’s basement room, The 5th Man, which officially opened in 1995. 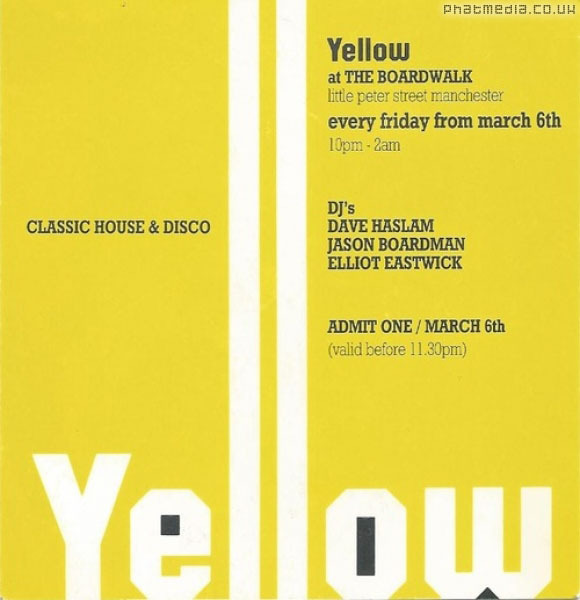 During my 2 decade hiatus I did make the occasional DJ appearance, especially following the release of the Classic Electro Mastercuts album I compiled in 1994, including a couple of guest spots at Dave’s Yellow night in the Boardwalk, one of Manchester’s most successful club weeklys of the period, where, alongside fellow residents, Elliot Eastwick and Jason Boardman, he drew from the music of the previous few decades, playing Soul, Funk, Disco, Hip Hop and Electro-Funk, evoking the city’s illustrious dance past, whilst side-stepping the House / Techno dominance prevalent in most other clubs. It was a recipe that worked a treat, the night quickly establishing itself. Although he didn’t know it at the time, June 28th 1997 would be the final night at The Haçienda, it’s license about to be revoked. Dave’s last record was Nuyorican Soul’s ‘It’s Alright, I Feel It’, whilst 5 minutes later, upstairs in the main room, Elliot Eastwick unwittingly played the final record to come out of this remarkable venue’s speakers, ‘Post Modern Sleaze’ by Sneaker Pimps. Dave’s last big residency was at Home in London’s Leicester Square, which opened in September 1999, but was forced to close 18 months later, due to drug related issues, leaving a clear path for Fabric, which had launched a month later, to win the battle of London’s new superclubs. He’d subsequently host a weekly radio show on alternative music station XFM. More recently Dave has conducted numerous interviews in a live setting with musicians, writers and artists including Nile Rodgers, John Lydon, Neneh Cherry, David Byrne, Jarvis Cocker, Lemn Sissay, Mark E. Smith and Jeanette Winterson. The book contains a number of quotes from these sources. 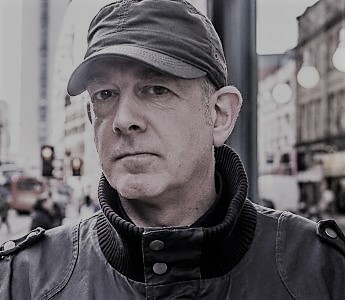 In 2015 the dance media reported that Dave had sold his entire record collection, a vinyl history of his time at The Haçienda and other venues. 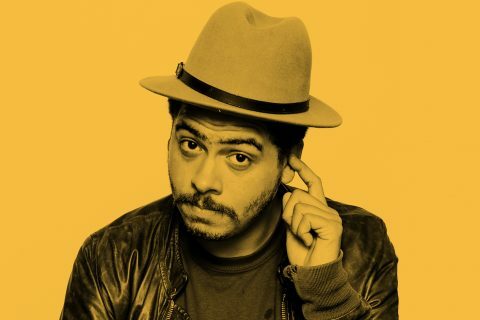 The buyer was from Kalamazoo, Michigan, namely Seth Troxler, one of the most celebrated contemporary DJs, meaning they’ve certainly gone to the right home, to someone who’ll thoroughly dig through and expose hidden gems to the current clubbing generation. That said, Dave links the sale of his collection to the depression and anxiety of midlife crisis, which he was suffering at the time – an instinctive decision that he may not have taken with a more measured mindset, his son, Jack, expecting to inherit them. He’d concluded that the records represented the baggage of his past, and to rid himself of them would serve to help him move on into this new phase of his life. It reminds me of the radical haircut all those years ago – a kind of emptying out in order to let the new come in. Packed full of anecdotal nuggets from an era that never ceases to intrigue people throughout the globe, obsessed with all things Haçienda and Factory Records, Dave’s book, like Peter Hook’s ‘The Haçienda – How Not To Run A Club’ (2009), provides a taste of what it was like to have been there embroiled in the city’s netherworld during the pre-Rave years and then on, full throttle, into the Acid House explosion and resulting Madchester mayhem. It now provides a valuable testament to this historical epoch, although underpinning it all is the tale of an alternative music fanatic, brought up on John Peel and the NME, who seems to be constantly pinching himself that he’s met, and often interviewed, so many of his heroes and heroines.